It was inevitable that Steven Soderbergh would one day connect with Netflix. He's spent a good part of his career reimagining the distribution process to benefit filmmakers, and say what you want about Netflix but they have opened their doors (and considerable bank account) to give more directors an opportunity. 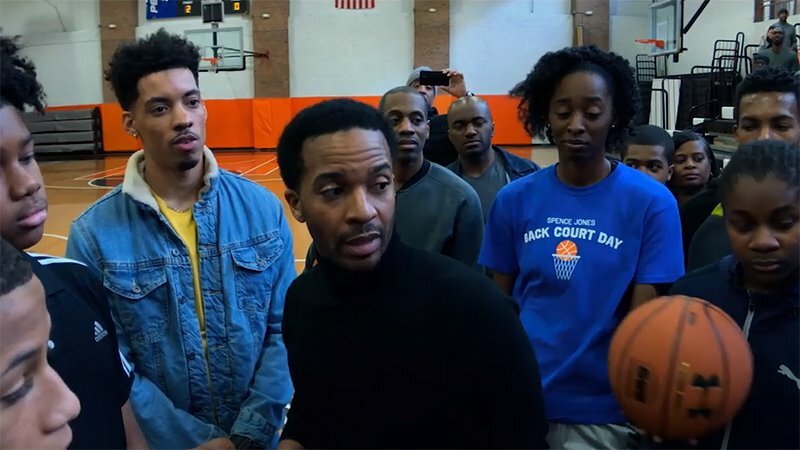 Soderbergh's first film with the streaming service is the sports drama High Flying Bird, which has released its first trailer before the world premiere at Slamdance next week. A reunion of all sorts, the film stars Andre Holland, who is reconnecting with Moonlight writer Tarell Alvin McCraney and Soderbergh from The Knick. Holland plays a sports agent who undertakes a dangerous gamble during an NBA lockout. Also in the cast are Deadpool 2's Zazie Beetz, Melvin Gregg, Sonja Sohn, Zachary Quinto, Kyle MacLachlan, Bill Duke, Jeryl Prescott, and Caleb McLaughlin. Of course, this being Soderbergh don't expect this to really be about the NBA, but the people whose lives are affected by the business. High Flying Bird hits Netflix on February 8th.